Prestige and exclusivity are the cornerstones of luxury goods, and the maintenance of that perception is paramount to both retaining customers and to drawing in new purchasers. As discussed in a previous article, the sale of these goods online can be difficult, especially when considering the retention of the above image. After the Advocate General's opinion in September the question of restricting the sale of luxury goods online has finally landed on the CJEU's desk, who handed down their judgment only last week. As a brief primer, the case of Coty Germany GmbH v Parfümerie Akzente GmbH concerned the sale of luxury cosmetics made by Coty. The company selected distributors for its network, which included a selective distribution agreement that included a provision on the preservation of the brand's luxury image. Akzente was one of these distributors, primarily selling through their store, website and Amazon as a third-party seller. The agreement was amended by Coty sometime after, which stipulated that all internet sales have to be done through an 'electronic shop window' that preserves the luxury image of the goods. Akzente refused to sign this supplement, and Coty took matters to court in order to prohibit the sale of their goods on Amazon. The matter ended up in the CJEU who had to answer four questions in the proceedings dealing with anti-competitive practices, and whether the selective distribution arrangements are exempt from the anti-competition provisions. 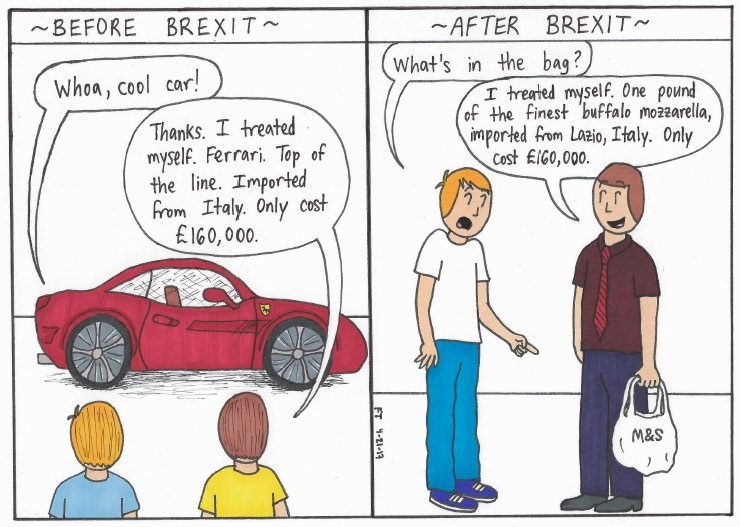 The first question posed to the Court asked, in essence, "…whether Article 101(1) TFEU must be interpreted as meaning that a selective distribution system for luxury goods designed, primarily, to preserve the luxury image of those goods can comply with that provision". The Article prevents any agreements on undertakings that may affect trade between Member States and have as their object or effect the prevention, restriction or distortion of competition in the EU. In considering this question, the Court reiterated that selective distribution networks are allowed under Article 101 if the resellers are chosen on the basis of objective criteria of a qualitative nature; the criteria are not applied in a discriminatory fashion; the characteristics of the products necessitate such a network to preserve those characteristics; and the criteria don't go beyond what is necessary. With regards to luxury goods, the Court saw that selective distribution networks may be necessary for luxury goods, where the quality and allure and prestige of those goods is essential and should be protectable. The same applies for mandatory displays in sales to preserve that image. In answering the first question the Court concluded that "…a selective distribution system for luxury goods designed, primarily, to preserve the luxury image of those goods complies with that provision"; however, they still have to conform to the criteria set out above. The second question asked "…whether Article 101(1)… must be interpreted as precluding a contractual clause… which prohibits authorised distributors in a selective distribution system for luxury goods designed, primarily, to preserve the luxury image of those goods from using, in a discernible manner, third-party platforms for the online sale of the contract goods". In other words, it is asking whether a selective distribution agreement can prohibit the sale of luxury goods on websites like Amazon. The same criteria as set out above apply to the lawfulness of the clause in the second question. Should it satisfy them it will not fall foul of Article 101. The CJEU looked at the clause and its provisions, and concluded that it didn't contravene Article 101. The objective of the requirements on online sales is to preserve the image that it is exclusively associated with the distributor. The aim was therefore legitimate in the light of the protection of the luxury image the goods have. What the prohibition also achieves is to ensure the goods are sold in an environment that corresponds to the qualitative conditions that were agreed between Coty and Akzente. This allows for the supplier to make sure, and enforce, the sale of the goods online and to prevent any harm against the luxury image of the goods. The Court then moved onto whether the prohibition goes beyond what is necessary for the objective pursued. Due to the prohibition only applying to third-party websites, and not the Internet as a whole, the distributors are still free to sell the goods online, albeit only through a store window. Studies have also shown that the majority of online sales are made through distributors' own websites, leading to very little detriment through the prohibition (although third-party sites are growing in importance). The measure therefore does not go beyond the objective pursued. The answer to the question was set out as "…Article 101(1)… must be interpreted as not precluding a contractual clause… which prohibits authorised distributors in a selective distribution system for luxury goods designed, primarily, to preserve the luxury image of those goods from using, in a discernible manner, third-party platforms for the internet sale of the contract goods, on condition that that clause has the objective of preserving the luxury image of those goods, that it is laid down uniformly and not applied in a discriminatory fashion, and that it is proportionate in the light of the objective pursued, these being matters to be determined by the referring court". The Court considered the third and fourth questions together, which asked, in essence "…whether Article 4 of Regulation No 330/2010 must be interpreted as meaning that… the prohibition imposed on the members of a selective distribution system for luxury goods, which operate as distributors at the retail level of trade, of making use, in a discernible manner, of third-party undertakings for internet sales constitutes a restriction of their customers, within the meaning of Article 4(b)... or a restriction of passive sales to end users, within the meaning of Article 4(c)". If the distribution agreement would restrict who the distributor can sell the goods to or authorised passive sales to end users, it will not be caught by the Article 2 exemption and treated as unlawful. The Court quickly observed that the agreement does not prohibit the use of the internet as a means of marketing the goods, nor circumscribe who can buy the goods online. Additionally, the agreement allows distributors to advertise the goods online, and considering all of the above, there is no restriction on distributors as to who the goods can be sold to or passive sales. In short, the third and fourth questions were answered as "…the prohibition imposed on the members of a selective distribution system for luxury goods, which operate as distributors at the retail level of trade, of making use, in a discernible manner, of third-party undertakings for internet sales does not constitute a restriction of customers… or a restriction of passive sales to end users". The case is quite an important one, which considers issues that will often pertain to the sale of luxury goods, particularly on the Internet. Clearly the image of the goods is protectable through contractual arrangements, including through some restrictions on those sales, and both distributors and brand owners should heed the decision and ensure their contracts are up to snuff.